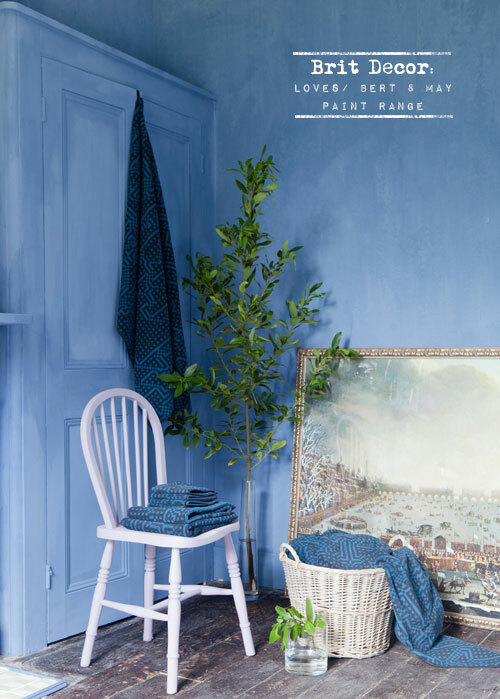 Brit Decor : Home Page: Brit Decor: Loves/ Brand new Bert & May paint range! 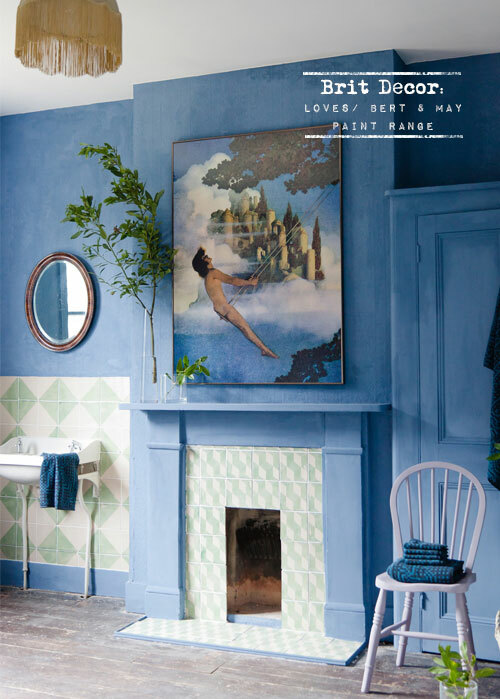 Brit Decor: Loves/ Brand new Bert & May paint range! The iconic tile designs of Bethnal Green's very own Bert & May have long been at the top of my decorator's black book of go-to materials suppliers, so imagine my delight when I discovered that this British store will be launching a brand spanking new range of paints! 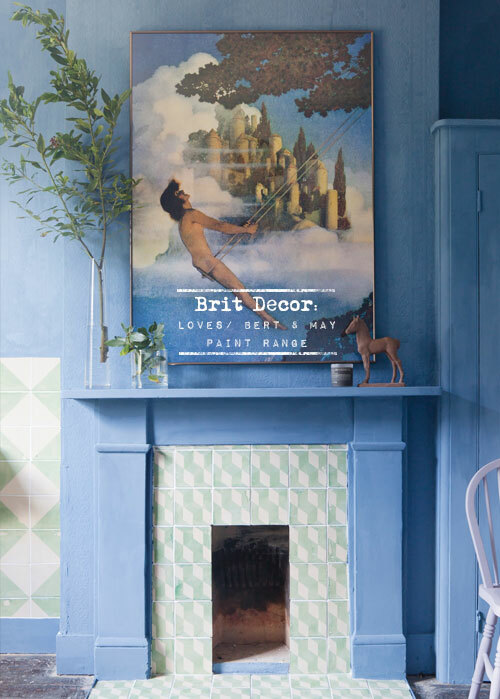 'Above' are some tantalising taster images of the new paint in its full glory, which has been created to compliment Bert & May's beautiful range of tiles, including 7 palettes in 35 colours - all in a dreamy lime-wash finish. We know from ancient printmaking methods that lime-washing is the end product of crushed limestone which has been burnt and slaked with water, resulting in a lime putty. This is then left to mature over a number of months before it's thinned-out with water. 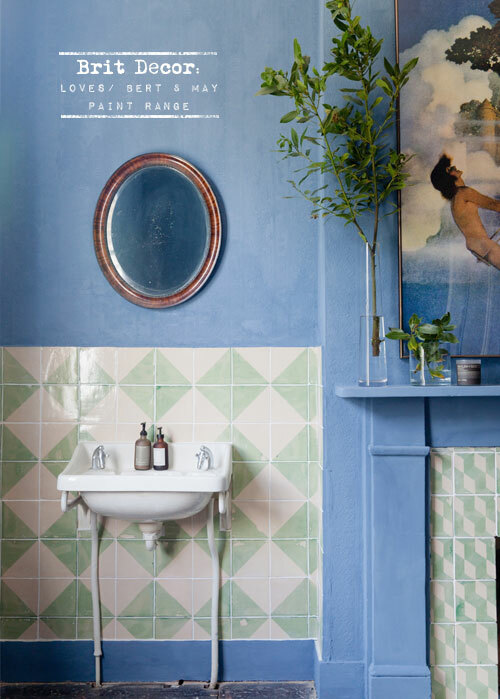 Lime-wash is great for that chalky, worn look, and looks incredible in old and new properties alike. The full colour range will be available in emulsion and we will be able to purchase online at Bert & May. My finger will be poised on the 'purchase' button!